iBall is all set to release a new budget smartphone in India. It expanded its Andi series with Andi4 B20 which is listed on the official site. It is however not revealed when the smartphone will be available for purchase. Andi4 B20 is a dual SIM Kitkat based mobile phone. 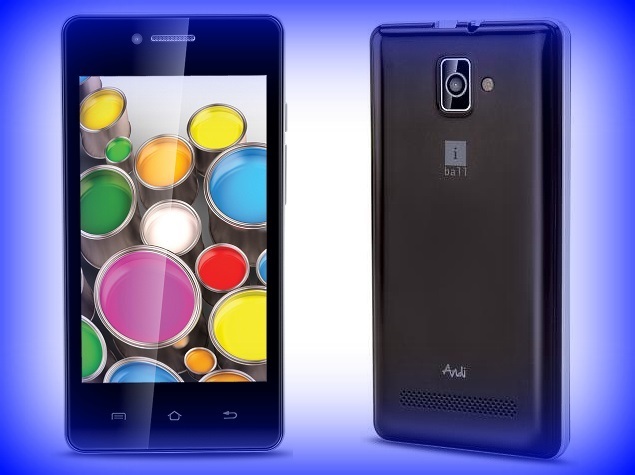 Ahmadabad: iBall Andi4 B20 sports 4 inch display and the resolution of it is 480 x 800 pixels. It is powered by 1 GHz processor and it is coupled with 256 MB RAM. This smartphone has 512 MB in-built storage and there is facility to add extra storage up to 32 GB via micro SD. It has 2 megapixel camera at rear and there is only VGA camera at front. Both the cameras are only basic camera. The handset comes loaded with Android 4.4 Kitkat operating system. Connectivity features of the handset include 3G, Bluetooth and WiFi. Other features are 3.5 mm headphones and FM radio. It comes with dual SIM capabilities and the battery under the hood is 1250 mAh. Looking at the specifications, we can say that Andi4 B20 is going to be affordably priced. The handset is listed in black color on the official site. Pricing details of the handset are also expected to be revealed when the handset will be released in the market. This entry was posted in Launches, Tech on July 1, 2015 by Rakesh.